Sit in the full lotus posture, close your eyes, meditate and peace shall come. Except that it does not, for most of us. Meditation is easy to learn but difficult to master. Unlike a Zen master, you can’t meditate at random locations but you need a conducive environment to have a fruitful meditation session. This means a reasonably quiet room and a good meditation cushion. With the right meditation cushion, you’ll find that sustaining a long period of meditation is easier than trying to meditate sitting on a hard flat surface. 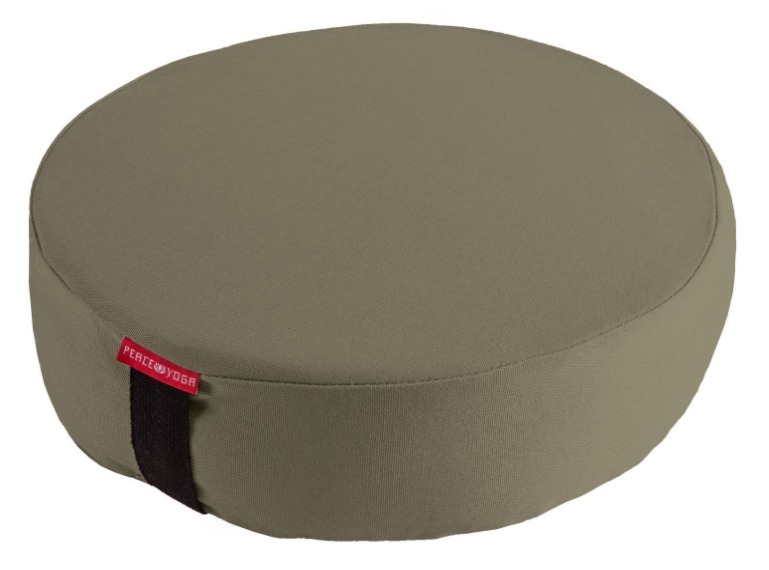 My top recommendation for meditation practitioners who are looking for a balance between comfort, budget, and a proven product is the Buckwheat Meditation Cushion by Seat Of Your Soul. If you’re taking meditation practice seriously, you know it takes at least 15 minutes of sitting meditation to really dive into the reclaim your mind from the chaos. Numbness, backache or any discomfort can disrupt your practice. Like it or not, a meditation cushion plays an important part for you to meditate in comfort. 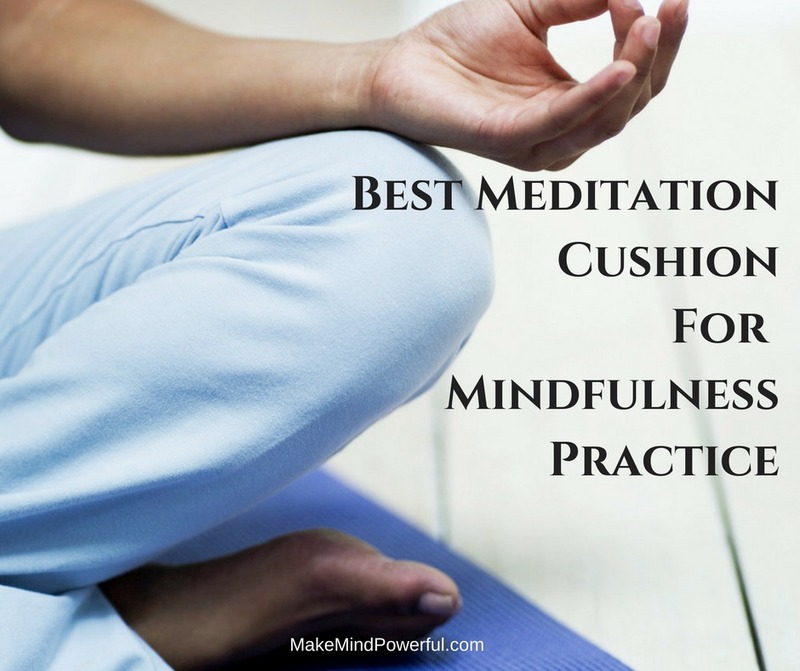 The right meditation cushion should support your posture comfortably throughout the practice. Although a backache can be inevitable, you don’t want to struggle with discomfort right from the start. As every individual has their own preference in their posture, choosing the best meditation cushion sets is a matter of personal choice. Choosing the most suitable meditation cushion for your practice isn’t rocket science. The principle of doing so is to achieve the right posture in sitting meditation. A right cushion will properly support your weight in a balanced upright posture. Your back should be straight but not stiff. If you nailed your posture right, it shall feel comfortable. While you can often see pictures of forest monk meditating in bliss sitting comfortably on nothing but leaves, most meditation practitioners find sitting on the flat surface pretty uncomfortable. It is only a matter of time before numbness or aches starts disrupting your practice. Of course, the practice of mindfulness meditation involves drawing awareness to any sensations that you feel. But this doesn’t mean your meditation practice should be a painful process when it can easily be averted. Using the proper meditation cushion can mean an hour of serenity or struggle with bodily pain. This is why it is important to choose a meditation cushion that properly lifts your pelvis above your knee. When you’ve got hold of your new meditation cushion, you’ll want to test it out. That’s because, for all the features that work for others, the meditation cushion may not be the right fit for you. After all, different individuals have unique spinal structures that need varying support. Try out the meditation cushion by following these steps. Lay the meditation cushion on a flat surface. Sit in your regular meditation posture. Take note that your knee should be rested on the floor and not on the cushion. This way, you’ll be slightly elevated and it removes strain from your thighs and knees. You should be able to maintain a straight spine without any stiffness as you sit. This should be an almost effortless process if you’ve got the right meditation cushion. Start meditating and be mindful of any pain along the spine, buttocks, or legs for the first 10 minutes. If you’re meditating almost pain-free, you’ve got the right one. At a certain point, pain does creep in even if you’re using the right meditation cushion. With that said, meditation shouldn’t be all about observing and dealing with pain. It can be a very discouraging experience for beginners. And for some with spinal pain issues, forcing yourself to maintain an unsupported sitting posture can aggravate the condition. The regular meditation does a good job in assisting you to maintain the right posture when meditating. But when you’re suffering from chronic back pain, it offers no support for your lower back. If you’re constantly experiencing back pain, I’ll suggest checking out these meditation chairs with back support instead. Of course, some would suggest that you can meditation on a reclining couch or sofa instead. I’ve always stressed that meditation posture is secondary to the practice itself. But I do, however, avoid meditating on chairs or couches that are too comfortable. When you’re too comfortable, it’s easier for your mind to wander and for you to doze off. You wouldn’t want to spend 10 minutes snoozing when you’re trying to learn how to meditate. That’s the same reason I avoid meditating in a reclining posture as well. Meditation cushion comes in different sizes and shapes, but most of them fall into these popular categories. The Zafu cushion is influenced by Zen Buddhist Tradition. Its elevated structure gives you the perfect height required for your pelvis. Meditation practitioners who’re accustomed to the Full Lotus, Half Lotus or Burmese posture would often find the Zafu a good fit. Traditional Zafu is stuffed with kapok, a cotton-like material. This has been an ongoing practice for thousands of years until buckwheat hulls became the popular fillings of modern Zafu. This is because buckwheat can shape itself to the shape of the body and result in comfort and balance. Besides the classic traditional Zafu, you can also find variations like the crescent Zafu, which offers better support for your hips. If you need a higher posture to be comfortable, the wheel Zafu is a good option as it provides a higher sitting level. Zabuton cushions are flat rectangular meditation pillows that also have originates from Japanese culture. The wider area means it provides support for both your knees and ankle. If you prefer a lower sitting posture, then a Zabuton may be the right choice for you. The Zabuton is also often used alongside Zafu to provide both elevation and knee support. But you can fold a part of your Zabuton to provide similar elevation to your pelvis too. Eventually, it depends on your personal choice of comfort and budget. Be sure that you choose a Zabuton with a removable cover so that it can be washable over time. The thickness of Zabuton may also vary. A thicker one may feel more comfortable but a slim Zabuton will feel more mobile and easy to carry along. The challenges in choosing the right cushion are something that I can relate to. If you’re meditating every day, you’ll want to get one that is comfortable and supports your practice. There are various brands of meditation cushion available. And here are some that I personally handpicked, after hours of meticulous research. These meditation cushions are some of the best around and I’m sure they will fit well into your practice. This crescent shaped meditation cushion from Seat Of Your Soul features an ergonomic design that releases the strain on your spine. If you’re struggling to meditate because of chronic back pain, this meditation cushion is the right fit for you. Made from natural buckwheat hulls, the meditation cushion is sturdy and robust. You can expect it to last for a long time as your meditation companion. The crescent-shaped design will provide you comfort at a personal level as it molds according to your physical form. The buckwheat filling will ensure that it doesn’t flatten over time. The exceptional quality of this meditation cushion made it one of the top favorite. The high standard of quality extends to the cover as well. It’s made of premium grade organic cotton and can be easily removed for washing. If you intend to carry it around, the design includes a carrying handle. If you’re just starting to meditate, this meditation cushion will help you get into the zone comfortably. With a thickness of 5″, it provides the perfect elevation of your pelvis to prevent a backache or numbness in your feet. You’ll be able to focus instead of shifting around out of discomfort. There are more than half a dozen colors to choose for and each an elegant addition to your meditation practice. If you prefer more traditional cushion, you can get zafu shaped cushion from the same manufacturer and they are equally great. There are some bonuses if you purchase this meditation cushion. 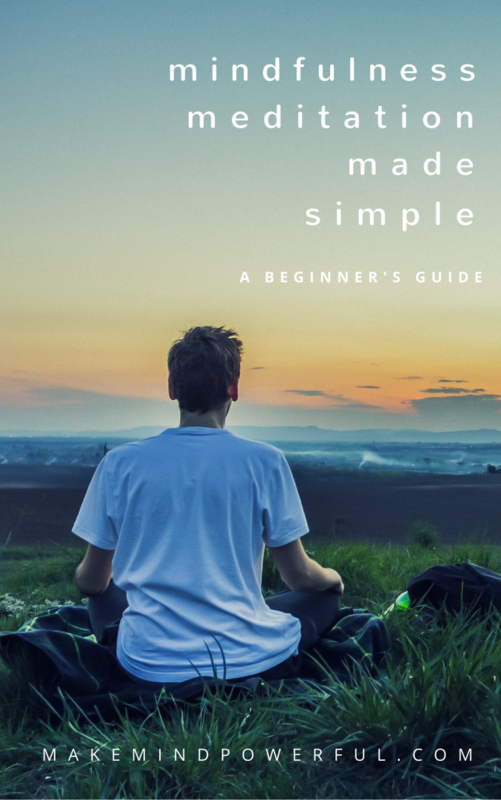 Besides a 100% lifetime warranty, the manufacturer also offers a free Stress Busting Guided Meditation and a Meditation & Mindfulness For Beginners Ebook if you join the VIP club. You can check it out from the link below. If you’re worried about zippers scratching your precious rug, then this Infinite Nature Zafu Meditation Cushion is the right alternative for you. This zafu is designed with a tailored fabric flap to hide the zipper. It removes the worry of the zipper scratching your floor or damaging your mat. Cleaning the cover is a convenient task. There are zippers on the outer case and the inner lining as well. You can tweak the buckwheat fillings to get the most comfortable seat for your meditation. And if it matters to you, the buckwheat used in this meditation cushion is 100% organic. Now you can meditate and know you’re doing your part in saving the planet. This simple design is best suited for beginners. With 5.25″ of thickness, it is just the right height to keep your hip above your knees and ankle. As this eases the pressure off your joints, you wouldn’t end the meditation with a rude shock of having your leg in numbness. It’s definitely a great option for meditators who lack flexibility. A meditation cushion like this will ensure that your comfort in any sitting style. Those with back pain issues may find meditation actually a pleasant experience with their spine properly supported. If you’re curious where this meditation cushion is made, the answer lies in the birthland of mindfulness meditation, India. It’s being produced in a factory specialized in making meditation products. The quality of the meditation cushion is reflected by the 92% of 5-star ratings at Amazon. Not all meditation cushion is made equal. This Zafu meditation cushion does not have a carrying strap sewn on to it but a free cotton bag is shipped together with the purchase. It more than compensates for the lack of strap handle that most modern meditation cushion does. When you’re meditating 30 minutes a day, you need a reliable meditation cushion that does not lose its shape. 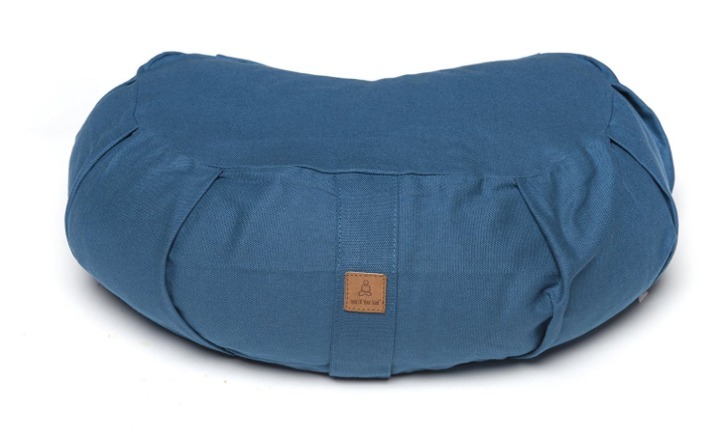 This Zafu meditation cushion from Peace Yoga definitely has the right quality. Filled with buckwheat hull, this meditation cushion gives just the right touch of firmness. Spine alignment and support in a priority in sitting meditation and Peace Yoga definitely sees to that. This meditation cushion provides the best support for the spine and eases any pressure on your joint. You wouldn’t be struggling with numbness anymore with this zafu meditation cushion. To get the best comfort, you can also adjust the fillings of the meditation cushion to your liking. The zipper allowed access to the fillings if adjustment is required. Besides that, it makes it easy to wash the cushion case as well. The buckwheat sealed in a pouch made it easier to reinsert the fillings. 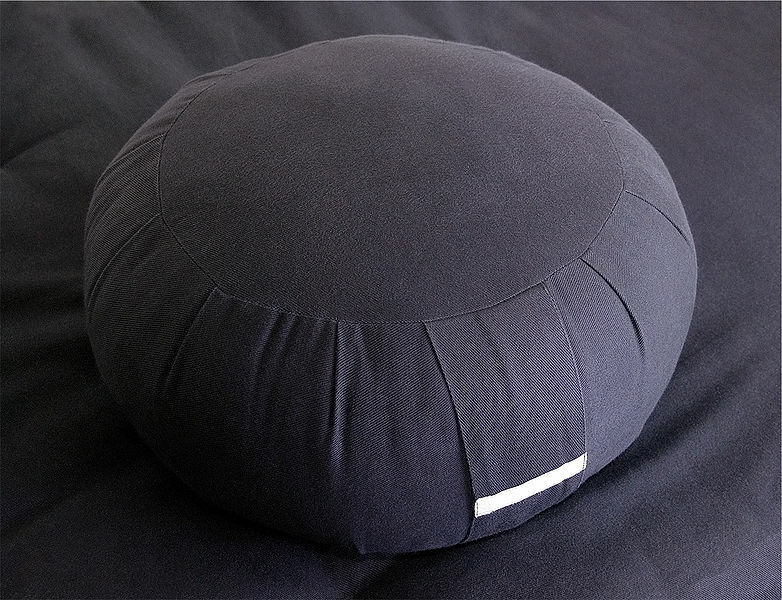 The meditation pillow is available in two sizes of diameter, 13″ and 16″. Be sure to get the right size for your meditation practice. When you’re no longer squirming with discomfort, you’ll start to experience the depth of meditation that brings calm and peacefulness. There are other color options to choose from if you want something other than the Green of mother nature. They are well-sized to carry around to the gym or meditation studio and it’s even more convenient with the soft grip handle. You wouldn’t need to worry about leaving your best meditation cushion at home anymore. Peace Yoga’s confidence in the quality of their products is not only backed by one year of limited warranty but also 90 days money back and glowing positive reviews from over 300 customers. Many meditators find their worries of knees and back pain are gone with this meditation cushion. 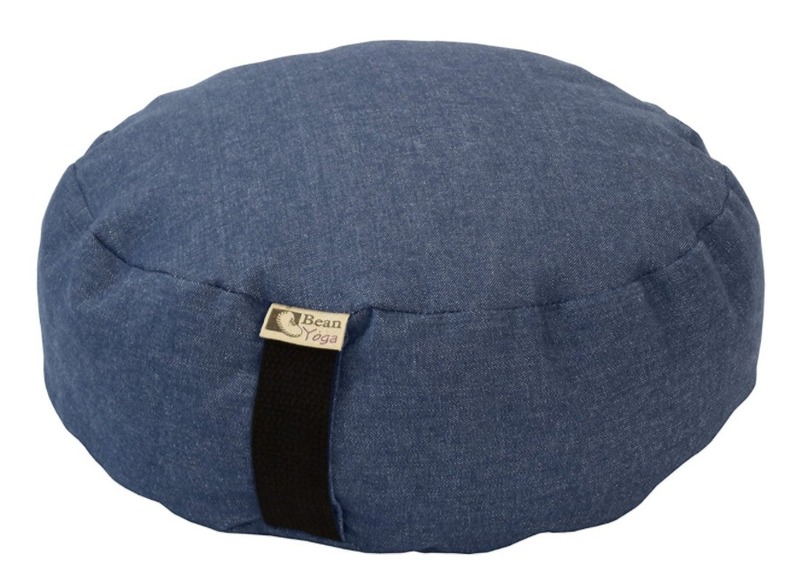 This Zafu from Gaiam is filled with buckwheat which made it conform to your body as you sit and meditate. Measuring 5″ height and 15″ in diameter, it will give you the height needed to feel comfortable with your knee, ankles, and back. 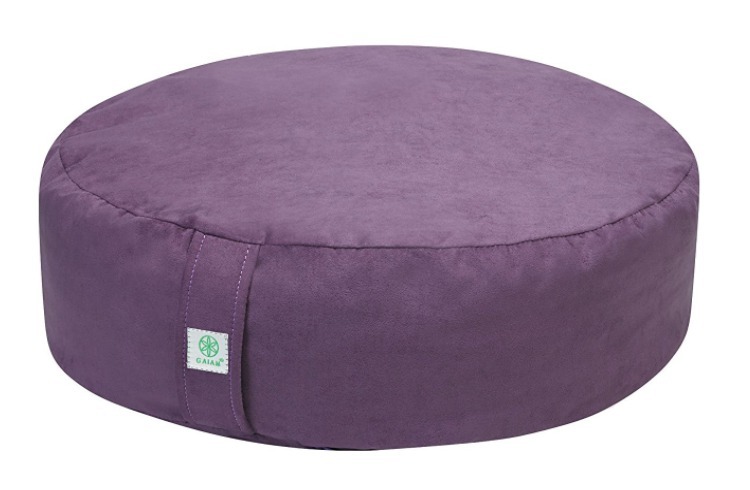 If you’re just starting meditation, a Zafu like this is a must-have for you to meditate comfortably. If you enjoy a forest retreat, you do not have to worry about getting this meditation cushion dirty. The exterior cover is removable and washer. Simply unzip the zipper and you will be able to remove the cover from the buckwheat filling contained by an inner bag. There’s a handle that makes it easy to store when you’re not using the Zafu. You won’t be tripping all over the cushion and your cat can’t sleep and shed its fur all over it. It’s so sturdy that there’s no chance for it to rip off. This Zafu also gives you to slightly adjust the height and slope to give you the best alignment. If you’re struggling with arthritis or spinal pain, you’ll find this cushion offered the soothing comfort. Meditation is less painful when you get the right cushion for yourself. It’s no surprise that many have found this Zafu a great cushion for their practice. Gaiam has been making the best products for Yoga for 25 years. That will be some assurance of the quality and comfort you’re going to get from this Zafu. 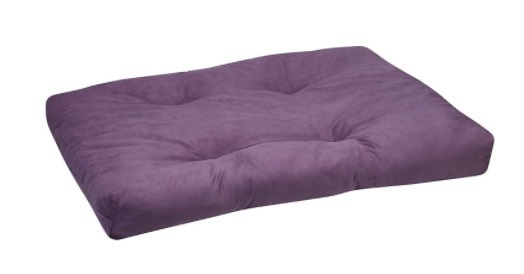 A Zafu in purple reflects spiritual and wisdom. I think it resonates with meditation itself. But if purple is not your favorite color, Gaiam offer variations of the same meditation cushion in black and teal. The product designers at Gaiam definitely have comfort in mind when they came up with this Zabuton. It is designed to provide additional support to make you feel more comfortable during meditation. The extra cushion of the Zabuton does well in relieving any pressure on your back, knees, and ankle. With an area of 36″ x 24″, the Zabuton will be a good fit for most practitioners. Its thickness of 4″ will provide sufficient cushioning even on hard surfaces. If you prefer meditating on more traditional lower posture, a Zabuton like this will give you a firmer feel of the ground. 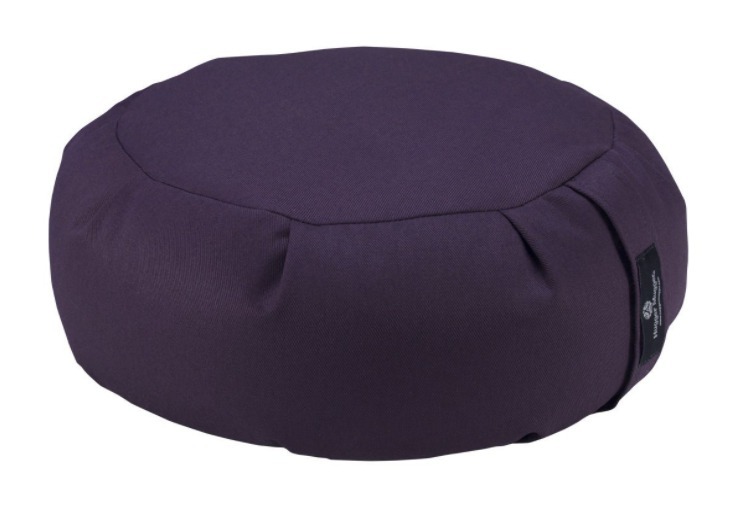 Made of soft microfiber, this Zabuton will even keep you comfortable when you’re not meditating. Keeping the Zabuton clean is made easy with the removable washable cover. You can also adjust the stuffing to your best preference. 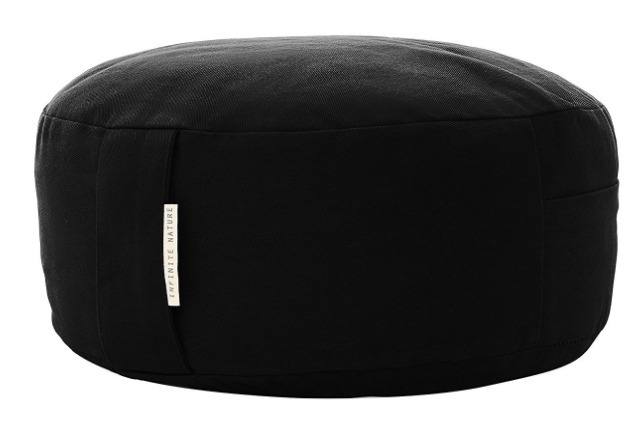 Of course, if you are looking for total comfort when meditating, you can add a Zafu on top of it. The Gaiam Zafu Meditation Cushion is made to fit perfectly on it with matching colors. It gives you both the elevated position on your hip and the comfort on your knees and ankle. With more than 25 years of experience in Yoga product, this is a decent product from Gaiam. It’s great if you have a dedicated area of meditation in your home. This meditation cushion will fit in just nicely. You can just leave it there as it’s aesthetically pleasing. It may even be a second home for your cat too. It can also double up as a cushion as it’s velvet-like visual gives it a luxurious impression. Besides that, the thickness made it perfect even on a hardwood floor. There are a few options of color to choose from if you’re not a fan of brilliant purple. 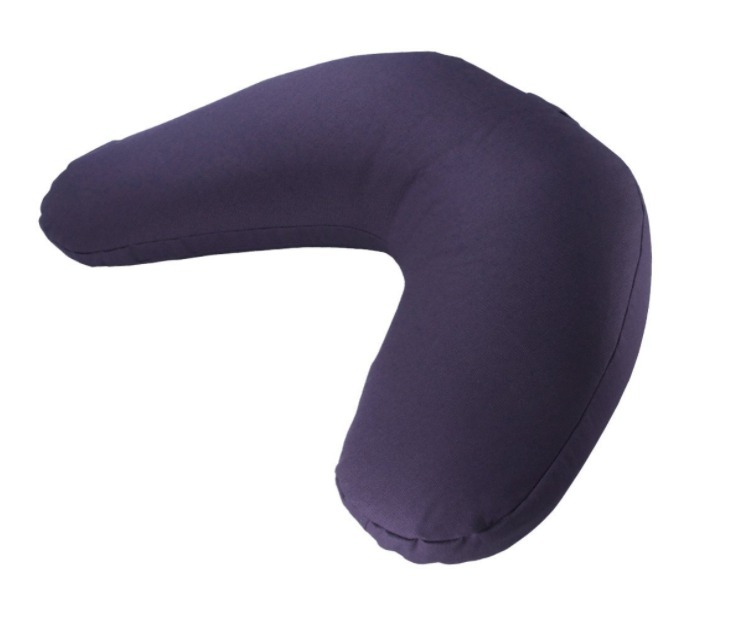 This Hugger Mugger Zafu is the right choice if you’re struggling with knee pain or numbness when meditating. The design is well suited for various cross-legged meditation position. It will be a right fit if you’re doing half-lotus or Burmese posture. The design gives you the right height to properly align your spine and prevent back-aches as soon as you start meditating. This means you can focus more on your breathing and be absorbed in your meditation for a longer period and lesser of struggling to be mindful of your pain. A good meditation cushion will not be felt when meditating as it molds itself around your body and this is exactly what this Zafu does. Made from buckwheat hulls it is firm and yet flexible enough for you to sit comfortably. You’ll probably end up meditating for 2 hours instead of 1. Its cover can be removed via a zipper if you want to wash the cover or to adjust the fillings to suit your needs. A Zafu needs not be dull and boring and this one is definitely anything but. Its plum color cover gives a pleasing visual and it’s easy to clean as well. If you’re not really great in housekeeping, this may be the right meditation cushion. Hugger Mugger has been around for 31 years and sets a high standard when it comes to making meditation cushions. They are made in the USA and uses eco-friendly materials that include natural rubber mats, cork, and bamboo blocks. This is probably one meditation cushion you want to consider if you want a sturdy and comfortable experience when meditating. The right meditation cushion will make a big difference when you’re meditating on a daily basis. If you’re used to meditating cross-legged, then this uniquely V-shaped meditation cushion from Hugger Mugger may be the best meditation cushion for you. The special V-shaped design allows you to bring your leg closer together comfortably when meditating. This V-shaped meditation cushion has a slanted shape that helps in ensuring the right posture. If you’re constantly battling backaches when meditating, this meditation cushion may help. People with arthritis will also find meditation a more painless affair from its unique shape. If you want to adjust the buckwheat fillings for better comfort, this Hugger Mugger meditation cushion lets you do that with it’s easy to open zipper. While it’s designed for comfort, it’s not a lightweight cushion. You’ll want to make use of the handle to move it around or store it after your morning meditation session. A meditation cushion like this will be great for people who’re struggling with sitting meditation because of physical conditions like bad joints or back pain. This made it an obvious choice over ordinary meditation cushion if you do not want physical issues to limit your meditation. Hugger Mugger definitely knows its stuff when it comes to making meditation cushion. After all, it has spent more than three decades doing what it does best. Not only it is made from natural material, but this V-shaped meditation cushion is also handmade, with every stitch the best of quality. The plum color of the fabric is naturally pleasing. However, there are various options for colors and themes for this particular meditation cushion. Special designs like caramel and Bohemian Ikat brings a touch of art into meditation. With its lifetime warranty, you can have the peace of mind when you get one for your practice. This meditation cushion from Sun and Moon Originals offer great comforts for practitioners, especially those who often complain of numbness when meditating. It’s slop shaped design is great for creating a comfortable upright posture when meditating. The extensions at the side of the pillow offer support to your upper thigh. You don’t have to worry about keeping the meditation cushion clean, as the cover is easily removable. and the fillings are properly contained in a linen fabric. You can have the option of buckwheat or the more traditional kapok filling when you order this meditation cushion. If you need to get the best fit for comfort by adjusting the fillings, you will want to get the buckwheat fillings type as the kapok fillings are not encouraged to be removed. Both types of fillings will give you the firm and grounded feeling when you meditate. At 8lbs the buckwheat is twice the weight of kapok though. And with the size measuring 23″ wide and 15″ deep, this isn’t a meditation cushion that you want to carry around. Instead, it’s best fit in your private meditation space at home. It’s manufacturer, Sun and Originals has a great history since 1990 in producing meditation cushion. To be specific, the company was born to create meditation cushions for people who struggle with a backache. The founder definitely has great success in solving the problem for himself and other meditators. You’ll be spoilt for choice for this Cosmic meditation cushion as it’s available in 1o different colors. Cinnamon, White, and Sage Green are great for those who prefer a softer touch while Navy Blue, Burgundy and Black will make a bold statement in your meditation space. As for the choices of kapok or buckwheat, it’s your choice to make. Meditation is a practice that dates back thousands of years ago. But meditation does not necessary means practicing on a plain and dull meditation cushion. If you’re one who believes that meditation and modern goes well together, then this handcrafted Zafu from Bean Products may be your best pick. With more than 25 stylish design to choose from, this Zafu is packed with both modern and traditional qualities. It is stuffed with organic buckwheat hull grown in the US. This gives it the solid grounding feeling that meditators are looking for. Besides that, the design also takes into consideration the alignment of your spine and minimizes the stress building up on your hip, knee, and ankles. You will be able to have deeper meditation sessions instead of one that’s punctuated by occasional aches. Cleaning the cover is a simple manner of unzipping and removing the sturdy cotton fabric. The sturdy handle also made this meditation cushion easy to carry around. If you’re planning a meditation retreat, you’ll have little problem in bringing this stylish meditation cushion with you. It’s disappointing if you’re getting a meditation cushion that is too small to fit. This meditation cushion came in two sizes, a standard 14″ round shaped cushion and a larger 18″ oval shaped one. Be sure that you get the right size for yourself. You do not want to end up squeezing yourself on a relatively tiny meditation cushion. The quality of the product is backed by over 500 positive reviews on Amazon. The top praises are for its comfort and stylish design which helps many meditators to find comfort when meditating. This meditation cushion is an example of modern meeting traditional at its best. It’s definitely a great choice for urban dwellers who meditate. This complete set of Zafu and Zabuton from Bean Products is a must-have for meditators who are looking to spoil themselves with comfort. Not only are the pressures relieved from your joint, with your knees and ankles padded with comfort, but you can also spend hours easily in deep meditation. Both of the Zafu and Zabuton are stuffed with organic buckwheat fillings that are grown organically in the US. It gives a firm feeling and conforms to the shape of your body to make meditation easier, especially for beginners. The buckwheat fillings of the cushion are removable and refillable. You can adjust the right amount for your best comfort. You can also remove the fillings and get it washed if it gets dirty. Just locate the hidden zipper behind the handle strap. There are two sides of the meditation cushion sets to choose from. The standard size comes with a 14″ round Zafu and a 3″ x 33″ x 28″ Zabuton while the large size consists of an 18″ Oval Zafu and a 4.5″ x 36″ x 28″ Zabuton. Most meditators would fit either one of them. With 19 colors to choose from, you’ll be spoilt for choice to get the best one that fits your personal meditation area. It will be perfect for some stress relieving meditation that brings healing to both your mind and body. Regardless of whether you’re a seasoned meditator or one just trying to get into the practice, a meditation cushion set like this will be the ideal choice. After all, there’s no reason why meditation cannot be practiced at the best comfort you can afford. Meditation is a practice that involves both the mind and body. While experienced practitioners can achieve calmness amidst experiencing pain and discomfort, most of us who practice meditation to relieve our daily stress will only find our practice disrupted. A good meditation cushion is crucial for you to achieve depth in meditation easily without having to deal with physical pain. Besides that, there is no excuse for not meditating due to back pain or numbness. Both can be overcome by choosing the best meditation cushion for yourself. Do you suffer from numbness from meditation? Or is your meditation constantly disrupted by your back pain? Which meditation cushion helps you to meditate comfortably? Share your thoughts in the comments below. Thank you for this overview of different meditation cushions. I have found the need for one but thought I was just not doing it right if I needed a cushion. The existance of actual cushions made for this purpose makes me feel better about my own practice — I’m not doing it wrong! The crescent and V-shaped cushions are intriguing and I can see how they would be especially comfortable for sitting cross-legged. Is there one you would recommend for people of a more substantial weight? The zafu from Bean Products have a larger oval size which may be nice for those who are not on the lighter weight. But the V-shaped cushions will be ideal if you’re struggling with discomfort each time you meditate. To be honest, I did not know that there could be so much variety when it comes to meditation cushions. They come in quite an array of thickness, sizes, and shapes. I do have a question though. Which one of these is the best for beginners? I do not know much when it comes to meditation cushions, so anything you can do to help would be appreciated. I look forward to hearing your answer. For beginners, I would start with something comfortable. And also, if you have any underlying physical conditions. I’ll personally go for the V-shape cushion but a full Zabuton and Zafu set will work well with most beginners. Thank you for this! The cushion that I have used for years just recently split open and I’m searching for the right replacement. I have used the Zafu style cushion, and I love the support and elevation that it gives me. It seems to take a lot of the pressure from my knees. But I’m curious about the Zabuton, since I’ve never used one. For longer sessions (45+ minutes), do these seem to maintain their cushion/lift? A Zabuton alone wouldn’t give you the elevation you’re used to. I used to fold half of it to give me greater height. If you place the Zabuton beneath your Zafu, it will provide comfort on your knees and ankles. I didn’t know there was such a wide range of meditation cushions. 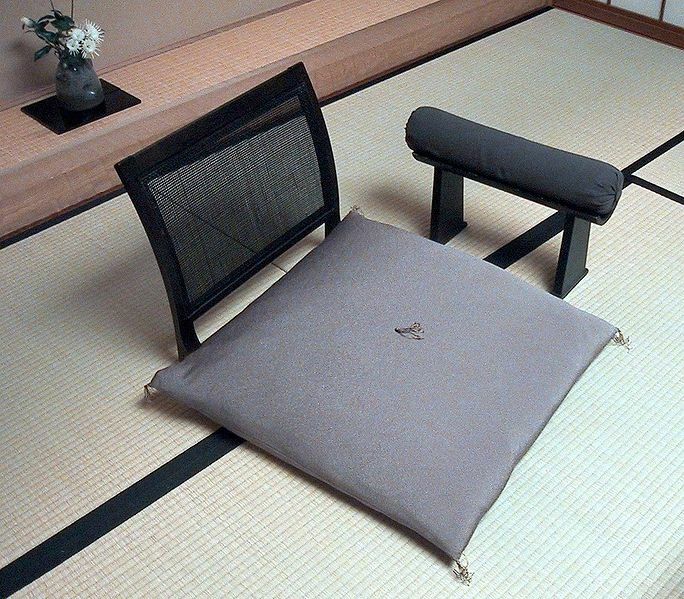 The Bean Products Zafu and Zabuton Meditation Cushion Set looks ideal for me. Plus, there are up to 19 colors to choose from. It’s a little pricey, but I guess that’s the price to pay for the comfort that the set provides. I’m wondering whether these products come with washing instructions since most of them have cushion cases that can be easily removed. Yes. You can find out more about the washing instruction at Amazon. The one from Bean Products looks great to me too.